We’ve got a good number of brand new resort hotels being built at the Walt Disney World Resort and each one of them has its own theme, just like all of the existing resorts have theirs. As each new resort has been announced, folks online have been collectively “having a cow” about how each one looks nothing like a Disney Resort. But, what does a “Disney Resort” look like and do they REALLY need to scream Disney? The theme parks need to scream it, but I’m feeling a little perplexed about the whole drama online because when I think of most of the resort hotels at Walt Disney World, the only one that really screams Disney to me is Disney’s Art of Animation Resort, for obvious reasons, and it only opened in 2012. 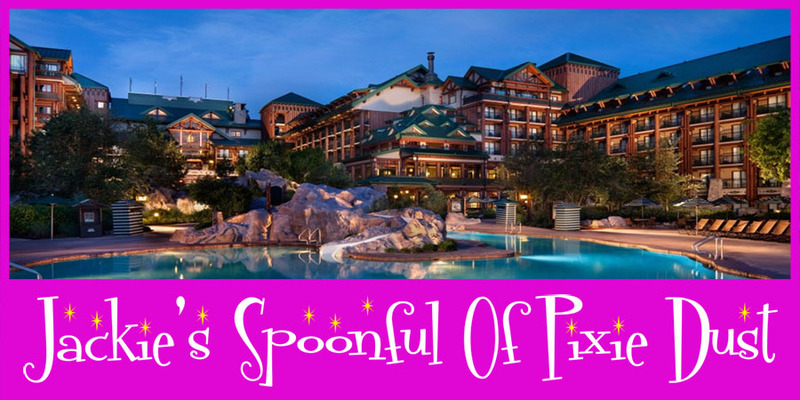 I know that as folks have visited Walt Disney World, they’ve grown accustomed to seeing certain themes in the resorts like the Victorian charm of Disney’s Grand Floridian Resort & Spa or the beachy/nautical theme of Disney’s Yacht & Beach Club Resorts. Another example is when I picture the Contemporary Resort in my head — the décor, the general atmosphere — it does not scream Disney to me unless I’m standing within eyesight of Chef Mickey’s, but rather it whispers to me. Obviously, it’s very modern and sleek, and the monorail sailing by overhead is iconic, but the futuristic ambiance that surrounds me when I’m there doesn’t make it seem Disney-like. What I absolutely LOVE about Disney’s Contemporary Resort is that the entire resort, both the main building and Bay Lake Tower, are very well-appointed, the rooms are gorgeous, the linens are divine, and the views are second to none. It also doesn’t hurt that it’s a stone’s throw away from Magic Kingdom. Take a “walk” with me, if you will, and let’s look at the new line-up of resorts coming in the near future. The first resort I want to mention is Disney’s Coronado Springs Resort. For as long as I’ve been aware of it, this resort has been used mainly by folks who are in town for various conventions; business people who are staying at Disney World for work. I’ve seen very few folks excited about the Gran Destino Tower that’s set to open at Coronado in July of 2019 and will become the new entrance point for the entire resort. People are saying that they don’t feel it looks like a Disney Resort, but more like a casino in Las Vegas. Now, we all obviously have different tastes and what-not, and while it might not be everyone’s style per se, it does have a spectacular look of elegance about it. A new animated flyover video was released and gives a good idea of how it’s going to look, click HERE to see it. The next upcoming resort I want to mention is Disney’s Riviera Resort. 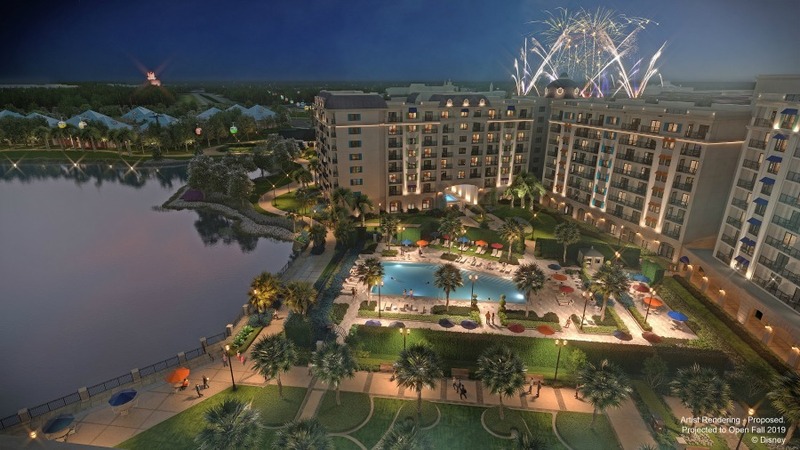 This resort will be the fifteenth Disney Vacation Club property and will have a European theme. The resort will also include a rooftop restaurant that will provide diners with views of the nighttime spectaculars at both Epcot and Hollywood Studios. Again, this one doesn’t scream Disney to me, but it looks absolutely beautiful and I’m excited to see it when it eventually opens. Disney has not released an opening date for this one as of yet. Not long ago, Disney announced that the land that’s been occupied by the old and decrepit River Country is going to be transformed into a nature-inspired, lakeside resort. The new resort will be the sixteenth Disney Vacation Club property and will be called Reflections – A Disney Lakeside Lodge. When it was first announced, folks online immediately began to lose their collective minds worrying about the resort blocking views. Meanwhile, others pointed out [repeatedly] that the lodge would only be six stories high, so it’s really not going to block much. Even still, the complaints continued on, saying the artist’s rendering combined with the resort’s name made it sound like a recovery center or something similar. I don’t get it but being from the Pacific Northwest, I’m really excited about another lodge at Disney. Reflections is set to open in 2022. Finally, the upcoming Star Wars-themed resort hotel is presumably one of the most-anticipated resorts of them all. While Disney hasn’t announced an official opening date for this immersive hotel, there are lots of details that have been announced that are sending Star Wars fans over the moon with excitement. The hotel is being billed as 100% immersive from the time guests arrive to the time they leave with a unique journey for each individual. The opening date has not been announced officially, but many folks feel that it will be open in time for Walt Disney World’s 50th Anniversary Celebration. While I understand that more resort hotels means more guests at an already super-busy Disney World, my hope is that we can all take a deep breath and try to look forward to what’s coming in the future instead of having an uproar about it. People want the theme parks to grow and in order to do that, the other aspects of the property have to grow as well. Most of us have read that even when the resorts are completely booked, that number of people do not fill the theme parks to capacity or anywhere near it. Which upcoming resort are you looking forward to seeing and staying in?